My “Ode to Besh” poem I wrote for my hubby for our 10th Wedding Anniversary. There once was a boy named Brent. From Montreal to Halifax he went. And in Keli-Ann walked with intent. She had found what she had sought. Across the floor, up to him she walked. “Would you like to dance?” He looked shocked. And for the rest of the night they danced and talked. About the dude at Cheers and the time they did spend. She would find out the answers in the end. Before the magic of Cheers began abating. “A hike? For our first date?” she said as filler. And they laughed and things got sillier. They agreed to a four month fling. Not long enough for it to turn into a “thing”. For when they parted, there would be no sting. Four months flew by in the blink of an eye. What a time they had, Besh and Pye. What the future would hold for this girl and guy. In the parking lot at the airport, they hugged and cried. Their true feelings they could no longer hide. That down the road, she would be his bride. Motivated to make it happen, he bought himself a home. Convinced her to come visit, so they wouldn’t be alone. So they took the risk and ventured into the unknown. His love, his bride, his number one gal. By the time of the wedding, would be passed on. When the sun shone through the fog on that Renews lawn. Now it’s 10 years later and life is mighty grand. 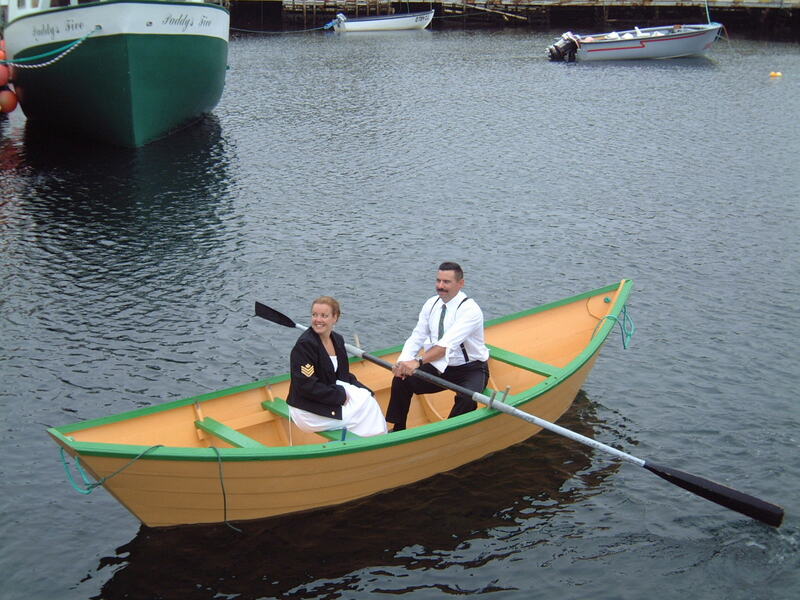 They now live in Holyrood in beautiful Newfoundland. How things can always happen, that you least planned. And it can hit you right out of the blue! And what a beautiful wedding it was …for two of the most beautiful people one could know. Thanks. I love this pic too. So fun and weird. Yes, we were at the Oil & Gas Magazine’s Masquerade Ball a couple of years ago. Not only a talented artist but a wonderful poet as well. Happy Anniversary to you both. happy anniversary Keli-ann……..what a wonderful love story!!!!! !